Sometimes, there’s nothing more effective than dogged investigative reporting to break up a system that is threatening its own purposes and promises. NPQ has written extensively about the financial interconnections between so-called patient advocacy groups and the pharmaceutical companies that now make active use of much of that field to support their business models. We have also recorded the many suits brought by the US Department of Justice (DOJ) against both the nonprofits and for-profits in that field and the multi-million dollar settlements reached. But, for some reason, the DOJ has not been as active in monitoring the behavior in the nation’s best-known research institutions where staff, board and institutional relationships with profit making pharma companies have the potential of creating all kinds of conflicts of interest, so it fell to the press to surface the patterns and individual instances where problems exist. Last Friday, January 11, 2019, Memorial Sloan Kettering Cancer Center (MSKCC) announced it would move to curb at least some of the conflicts of interest that had been allowed to flourish among their top executives and board members through barring its executives from serving on the boards of for-profit corporations. 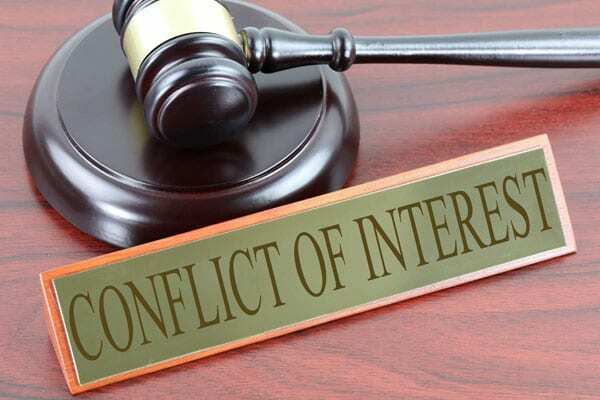 This is expected to be the first of a series of reforms focused on conflicts of interest surfaced through recent investigative reporting by the New York Times and ProPublica over the last five months. Although this reporting has focused on MSKCC, the scrutiny has prompted other, similar institutions, like Dana-Farber Cancer Institute in Boston and Fred Hutchinson Cancer Research Center in Seattle, to reconsider their own policies related to such practices. NPQ has written a number of times on this issue, discussing not only the extent of the nonprofit/for-profit conflicts that exist in this system—both at the board and executive levels—but also the reactions of other staff and stakeholders. MSKCC’s board of overseers also formally enacted a policy prohibiting board members from investing in startup companies that Memorial Sloan Kettering has helped to found and preventing hospital employees who represent Memorial Sloan Kettering on corporate boards from accepting personal compensation from the companies. Ms. Berns said the Memorial Sloan Kettering board’s policy decision was intended to emphasize the hospital’s focus on education, research and treatment of patients. Dr. Nadeem R. Abu-Rustum, who is president of Memorial Sloan Kettering’s medical staff, said the policy changes were “well received” by employees. There is no surprise in the sentiments of non-executive employees, who have been distressed at the ethical lapses, once calling for a no-confidence vote in CEO Dr. Craig B. Thompson based on his unwillingness to protect the mission. That vote was never taken, but it did spark Thompson’s resignation from the boards of Merck and Charles River Laboratories.